This new walk behind sweeper to the Hako range has greater sweeping performance, the highest degree of hopper filling as well as effective work and long machine life. It provides long periods of uninterrupted work and a constant, first class sweeping result. For continuous and high work quality, the filter can be comfortably shaken clean during use. To clean it after completing work, it can be accessed from the clean side easily and quickly. 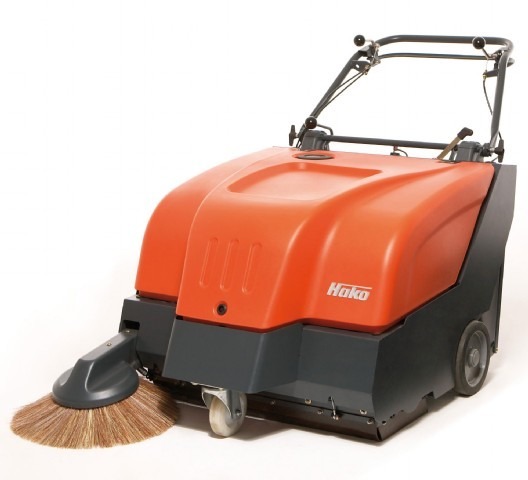 The robust, steel frame construction in heavy-duty quality makes the Hako-Hamster a really professional device which can clean surfaces efficiently for a number of years!